Chris Williams and Christine Zeitz. 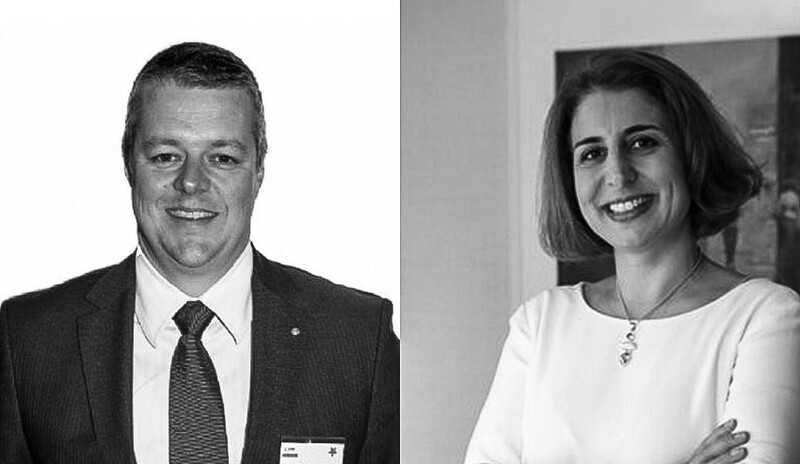 Two new members have been appointed to the Centre for Defence Industry Capability (CDIC) advisory board. Minister for Defence Industry Christopher Pyne confirmed Leidos Australia's managing director Christine Zeitz and managing director of HI Fraser Chris Williams have joined the board. Two vacancies were created on the advisory board by the resignations of original board members John O’Callaghan and Tim Shaw. Zeitz is a defence, security and ICT specialist with over 25 years of experience in directing and delivering world-class solutions and services to Defence and other customers, including exporting. Leidos Australia is a technology, engineering and science prime systems integrator with over 1,000 local experts. Backed by a global organisation of 32,000, the company focuses on complex logistics, C4ISR, cyber and electronic warfare. A former submariner, Williams is the MD of HI Fraser, a wholly Australian-owned niche critical gas and fluid SME. HI Fraser designs, manufactures and maintains specialist gas and fluid systems for the Australian Defence Force as well as the offshore oil and gas sectors. Both appointees have extensive experience working in the defence industry and a strong understanding of defence supply chains, and will make valuable contributions to the advisory board, Minister Pyne said. “The advisory board has a critical role in positioning Australian industry to seize the unprecedented opportunities available to meet our Defence capability needs over the next decade," the minister said. The CDIC was established as the cornerstone initiative of the 2016 Defence Industry Policy Statement. The CDIC is headquartered in Adelaide and will receive around $230 million investment over the next decade that will drive industry growth across the country. The CDIC works with small-to-medium enterprises across Australia to promote competitiveness and guide priorities across defence industry. The CDIC offers a range of advisory services including mentoring, defence market access, export facilitation and global supply chain development.